The accreditation process included a number of comprehensive evaluation procedures, acknowledging excellence at the medical, administrative, financial and IT services & infrastructure levels. 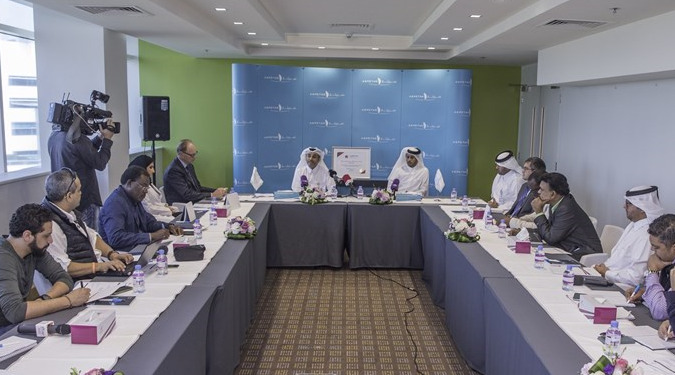 The announcement was made at a media roundtable with senior management from Aspire Zone Foundation and Aspetar. Mr. Mohammad Khalifa Al Suwaidi, Acting CEO of Aspire Zone Foundation, expressed his pride at Aspetar’s achievement after only eight years of operation, commenting: “Achieving this accreditation caters directly to Aspire Zone Foundation’s vision to become the reference in sports excellence in the world, and supports the organisation’s values by assuring Aspetar’s world-class medical services”. He added: “Such an achievement is in line with our efforts to contribute to the Qatar National Vision 2030, which prioritises human development as one of its main pillars and focuses on the high-quality health and fitness sectors”. The ACI accreditation system includes three levels of status, which are Gold, Platinum and Diamond (from lowest to highest). To date, 97 international healthcare organisations have been accredited by ACI. Only 16 of those have been accredited with a “Platinum” rating, while the majority have been awarded the lower “Gold” accolade. 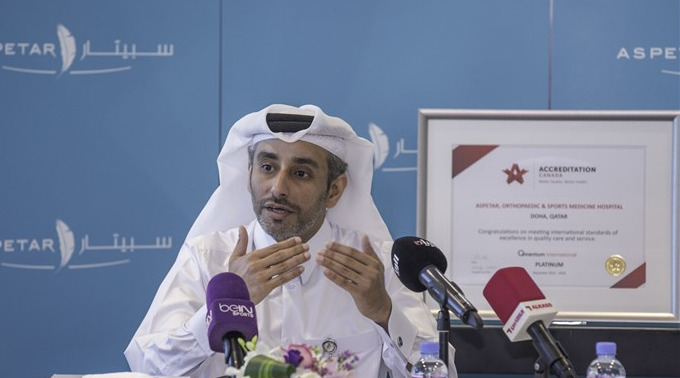 While Aspetar is proud of this accomplishment, it is already in the planning process to reach Diamond status in the next three years, during a scheduled re-accreditation process. While other accrediting bodies focus on operational or administrative criteria, or on specific medical components, ACI is a comprehensive and integrated accreditation system, covering a range of factors including medical and administrative services as well as technology. It is considered a testament to the high level of the quality and services provided by Aspetar in its different aspects and specialities. Aspetar is the first hospital of its kind in the region, and is accredited as a “FIFA Medical Centre of Excellence” by F-MARC, in addition to being an “IOC Research Centre for Prevention of Injury and Protection of Athlete Health”. ACI is an independent, not-for-profit organisation that has been accrediting health care organisations around the world. Its comprehensive accreditation programmes foster ongoing quality improvement through evidence-based standards and rigorous external peer review. The accreditation helps health care organisations improve their performance for the benefit of their clients and the health system. Such an accreditation highlights the advanced development Aspetar has achieved since being established, and comes as an appreciation of the ongoing efforts of the hospital’s staff in making it the world’s leading sports medicine destination. 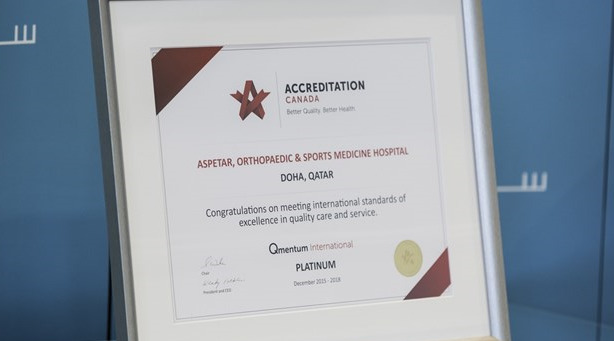 Aspetar, the world’s leading orthopaedic and sports medicine hospital and member of Aspire Zone Foundation, has been awarded a prestigious ‘Platinum Level’ accolade by Accreditation Canada International (ACI). 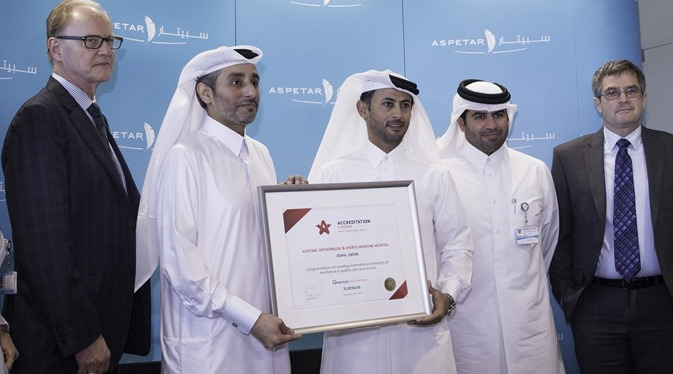 The award recognises Aspetar’s high safety criteria and world-class medical care and services, in accordance with best practice international standards.